Our tacky mats can be glued anywhere. Most commonly, they are put in front of room/building entrances, but with the use of our Rubber Frame, they can be moved accordingly to our customers‘ wishes. They come with 40-60 layers that can be peeled off whenever needed. Even though our tacky mats are „extra tacky“, they are also very thin and maintenance free, which makes them very easy to manipulate. You can also order a special frame to use with our Tacky mats. This frame is made of rubber and is used to make the maintenance of tacky mats even easier – with this frame, you can move the mat whenever and however needed. 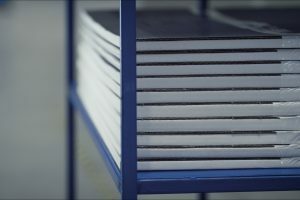 Thanks to the fact that our frames are made of rubber, there is also no risk of injury while manipulating with the frame. Rubber frames make tacky mats last longer because of the rubber frame protection. 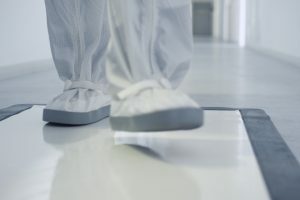 Not only our mats have ISO certification with five steps to remove dust and impurities, they are also CE certified, which means they are being very effective when in use. Layers have to be peeled off, when they wear out. The IOS quality standards are regulated by the CSN EN ISO 9001:2009 norm, which is in tune with the whole world quality standards. 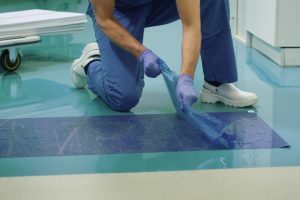 Tacky Mats are used in places where the hygiene standards are set very high. Tacky Mats fullfill those expectations, because they have a special anti-bacterial treatment that helps get rid of all the bacteria. Not only tacky mats have a high level of stickiness, they are also very light, which makes the transportation and installation of the tacky mats very easy. 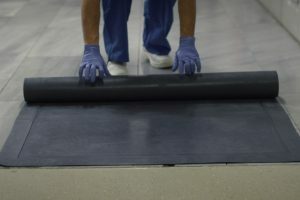 We also offer you a short video showing how our mats should be installed properly. If you decide to buy a larger amount of our tacky mats, we offer you custom box branding. 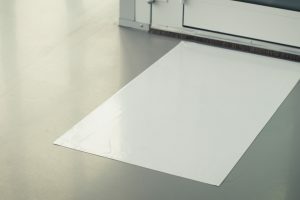 Tacky mats do not contain any material that would be harmful to people, so they can be used in hospitals and food industry. The ESD treatment we offer for our tacky mats is optional, but it helps in removing dust and impurities. Our company offers our customers adhesive tacky mats. 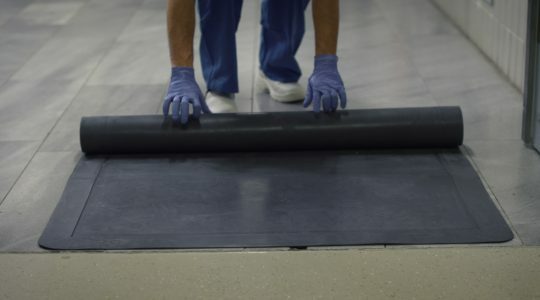 These mats are of high quality and can be used anywhere, starting with hospitals and intensive care units and ending with filters, nuclear plants and laboratories. 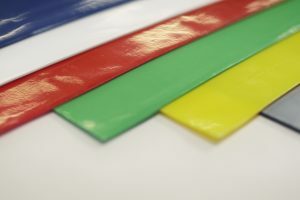 Tacky Mats come in many different colours according to the environment they are used in. Tacky Mats provide the highest hygienic standards possible. We sell not only polyethylene tacky mats, but also a wide variety of medical goods. We have been making our customers satisfied since 2004.